There’s nothing more amazing than spending the winter, sitting around a warm and cozy fire or at least heating a part of your home using a wood stove through the winter. But to make this possible, you will need a lot of firewood. 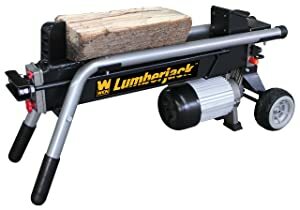 Of course, you could just manually chop firewood from logs using a tough ax but if you want to save yourself from backaches and a ton of arm soreness, then you might want to consider investing in a log splitter. The best log splitter will help you split logs quickly and easily, be able to produce enough firewood for your family’s needs without suffering through aches that come from wood chopping. So to help you out, I have listed down below five of the most amazing log splitter you will find the market today. If you want to know what made it to the list, then please keep on reading below. • It only comes in one-handed operation which I don’t find to be safe enough. If you have been splitting logs manually and you are currently looking for a good log splitter for home use, then you need to seriously consider investing in the Boss Industrial ES7T20. This electric log splitter weights 7-ton and is capable of splitting logs up to 10 inches in diameter and 20.5 inches in length, which means it power through green wood and hardwood. I know what you’re thinking right now! 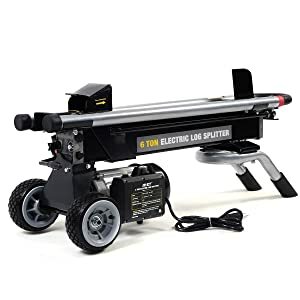 Yes, this seems to be a bit short for a machine in this price range, especially that there are already 4-ton models that are capable of splitting logs with a diameter of 12 inches. Well, the thing is that a 4-ton machine will only be able to split 12 inches logs under ideal conditions. Boss Industrial ES7T20, on the other and, will be able to split up 10-inch log no matter what, thanks to its powerful 1,500 W motor as well as its 3,500 psi hydraulic system. It also split logs going forward and back since it has two-sided dual action splitting wedge. And if you will take a look its build quality, you will see that the parts are made of heavy-duty material, the joints are durable and it has secure connections. I must say, this machine has been built to endure. It can be started and stopped with a single push of button very easily. Plus it does not use gas so you can just use it inside your house and don’t need to worry that you might run out of gas. The splitter will also be shipped to you with mostly assembled right out of the box, all you have to do is attach the handle and it will be ready to be used. 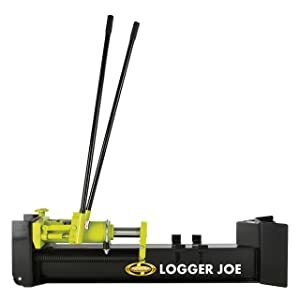 This compact log splitter only weighs 7 ton and has 10 inches ‘never flat' wheels that make this unit portable enough as it can just be pulled or pushed. So if you are someone who is always moving from one job to the next, this is your best choice. And since it is gasoline powered, you can use it where your truck can't go and there will never be any possibility of running an electrical cord. To make things even more convenient, this unit can be stored almost anywhere. Another thing I like about this machine is that its engine can protect itself by automatically shutting off whenever it senses that it is already low on oil. It also features skewed wedge on its integrated log cradle for a much more efficient splitting. Its automatic return time is also a bit long, approximately 20 seconds, and there’s no need to hold the lever when it’s on reverse. So while the splitter is resetting itself for the next log, you will have enough time to stack your newly split wood. It’s also great that this splitter is lower to the ground compared to some other models, so there will be a shorter distance to lift those heavy logs off the ground and set them on the splitter. This model is being powered by 80cc Champion single cylinder OHV engine, while its fuel tank can hold 0.4 gallons. The system also features 1.3-gallon hydraulic oil capacity that is operating at 2 GPM at 3900 PSI. Here's another amazing log splitter that is fast and capable of splitting logs in just a short period of time. It offers all features under a low budget. This electric log splitter runs on a 2 horsepower 15-amp engine that has been wound up with copper, but don't worry, you can just plug it on a regular household electric power source. What makes this log splitter amazing is that the user is really simple, just push the button and you're good to go. Moreover, it comes with built-in log cradle or set a log guide that will keep log firmly on its position. 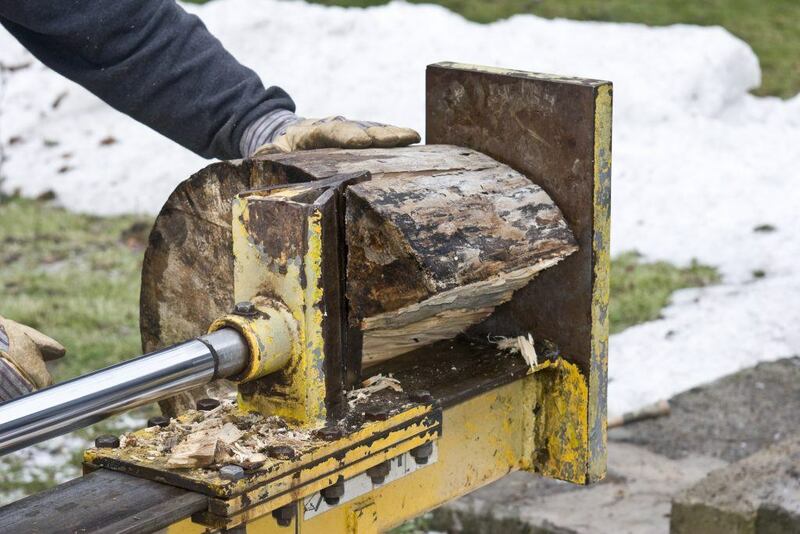 It will split logs evenly up to 10 inches in diameter and with a length of 20.5 inches. WEN also kept the safety of the operator in mind by adding two comfort-grip handles so there will be more cutting control. Every time you take your hand on the splitter, the ram will go back to its starting position; this will lessen the possibility of any injury. I also like how portable this model is, with its 6 inches tires you can easily use it both indoors and outdoors. This 6-ton electric hydraulic log splitter is very powerful to get all your wood chopping needs to be done in no time. You’ll be amazed how it cut logs like butter, thanks to its 1500 W maximum power and 6 tons of splitting pressure, this unit is tough enough to split all kinds of dry wood. You will also find this model very portable. It comes in a compact size that you can just simply fold it away and carry it everyplace you need to chop or cut. And thanks to its two wheels, moving this log splitter around is much easier. I also like that the cradle is not too off the ground, so there’s no need for you to pick the logs up too high to place them in. Plus there’s no need to be worried about any fuel leaks or fumes since it is all electric, making it environment-friendly too. This log splitter also comes with a waterproof rating of IP54, so it minimizes the risk of getting rusty. It also has the insulation of class B, we can be sure that it will be durable and it will last longer. What I like about this product is that it is relatively lightweight. It also comes with wheels that even makes it easier to move wherever you want too. It also takes a very small space if you store it vertically; you can just conveniently store it behind any door. But the best thing about this product is its price tag, it does an excellent job for an affordable price. So, what features a log splitter should have to make it to the cut? Well, that’s a great question and that’s what I’m going to answer in this buying guide below. Here are some factors that you need to seriously consider when looking for a quality log splitter. Both electric and gas powered log splitter has its own advantages and disadvantages; they both play different roles in the log splitting industry so both are quite essential to anyone splitting a log. Gas-powered log splitters are more portable than electric ones since they don’t need to be close to an electrical outlet. They are also more powerful and faster, making it perfect for large amounts of woods, particularly hardwood. However, they are not environmentally friendly as they emit fumes. Electric log splitter on the other hand, while more affordable, are less powerful than their gas-powered counterparts. Though they are a great choice if you are looking for a machine that is lighter and smaller. And since they don't emit harmful fumes, they can be safely used indoors. The power of the motor is what separates one splitter from another. In other words, the motor’s power will determine how efficient the log splitter is. Your log splitter should have a motor that is powerful enough to can get through hard and wet wood without failing. It should be able to accomplish even the toughest job. So make sure you check out the total RAM splitting force, total horsepower, amps and opt for one that is sufficient enough for your needs. 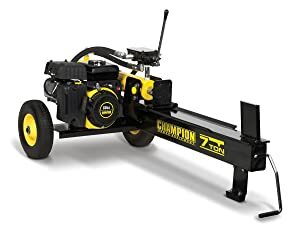 If you are a homeowner who does not need plenty of log splitting, a unit with a 2 HP motor will be enough to do the job. However, if you have bigger demands, a machine with 3.5 horsepower would be the best choice. Log splitter tonnage is simply the amount of force that the splitter applies on the log to be able to split it. The higher the tonnage means the more force it is exerting onto the log, making it easier to cut through larger and harder logs. Lower tonnage ratings, on the other hand, exert less force, but they are also much smaller machines. So make sure you know the type of wood as well as the log’s diameter you have to cut to be able to know what level of tonnage you will need. A log splitter will relatively be heavy and moving it from one place to another will hurt your back. Hence, portability is of topmost importance when choosing a splitter. You should be able to move the machine up and about without any problems. Those units that come with large wheels for hassle-free movement are just the best. Of course, your trusty ax has done the job for a very long time already, but the entire process is very tiring and takes so much time. Thanks to the technology today, replenishing the woodpile as winter months begin to approach will no longer be a daunting task. And these five of the best log splitter are capable of tackling your log splitting needs, whether it is for firewood for your heating needs or in providing some supplemental firewood for your fire pit. Anyway, I hope this article was able to help you figure out which log splitter would best suit your needs. If you still have any more question, let me know in the comment section below.